Korn assembles an arsenal of high powered full-color lasers for the 2007 North American arena tour. Using the new DMX Lightwave Laser Server, 10 lasers are controlled as automated fixtures from a full-size grandMA. The 2007 Korn Tour had one goal: attempt to use lasers as a replacement for automated lights. The idea came from simple realities: Lasers now require less power than automated lights, they produce more impactful effects, and they can produce more effects with a smaller fixture and tech count. The truck pack is smaller, faster, and lighter. These facts are quite the opposite of ion laser mentality, and are a new idea for tour designers. 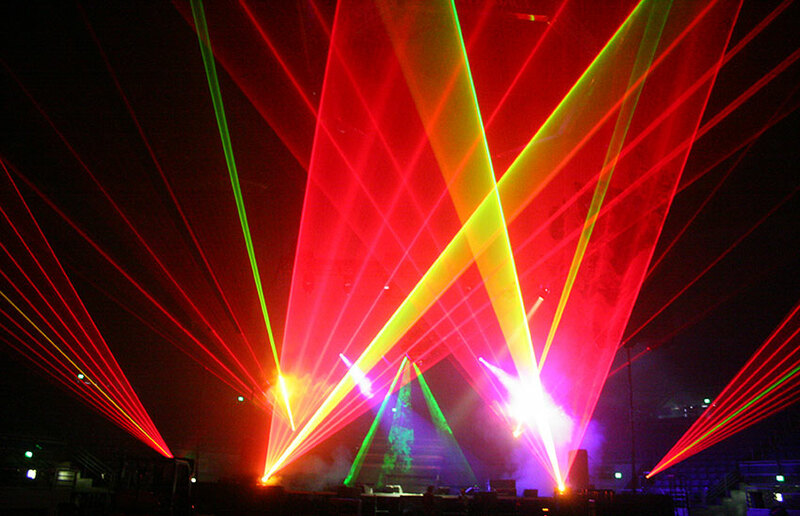 Using lasers created savings for the tour while delivering an amazing audience experience. For this tour, a new process flow was created that mimics that of a video media server: Highly skilled artists program the media server and arm it with highly powerful effects. Then, the designers are given a special fixture definition for the lighting desk of their choice that allows for incredible control of the server. 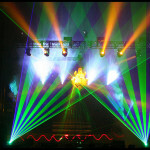 The end result is the ability for show designers to program lights and lasers on the same board, using familiar tools that they have already mastered. 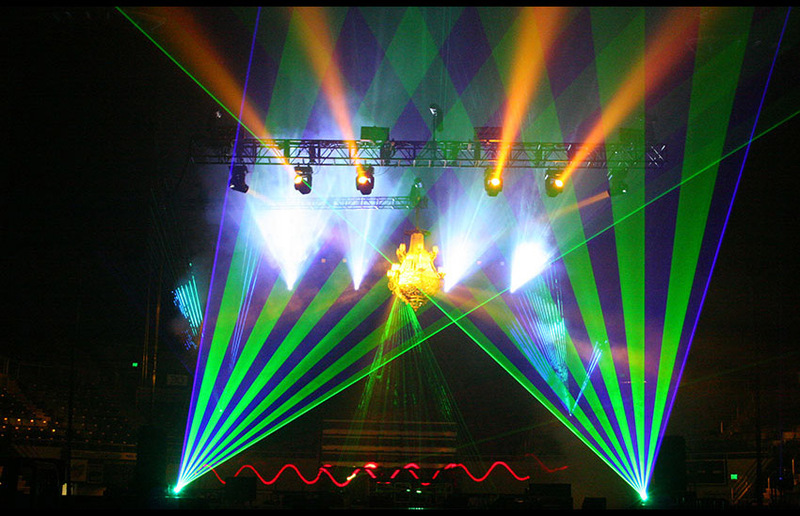 For touring crew, it means lasers hang and provision like any other fixture – requiring only DMX and one standard power connection (often one circuit for the entire laser rig!) 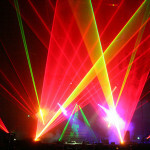 A laser operator remains to maintain safety of the effects by masking occupied crowd areas and other means of control. This show used a total of 10 laser projectors – each with completely independent control. The ability to make subtle changes in timing and offset between projectors can create looks that were not possible before without significant control infrastructure. More impressive is watching lighting designers create looks with lasers who have never used them before. This fresh approach is yielding new looks that break the mold of ‘traditional laser show’ or ‘traditional touring lasers’. Chris Kantrowitz — Frank the Plumber.